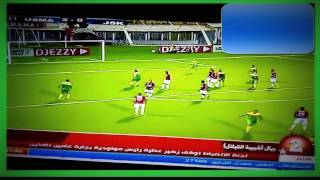 أسهل الفرص التي ضيعها نجوم كرة القدم لموسم 2016/2017 !! لن تصدق...!! و الإشتراك في القناة للمزيد من الإبداع !!! العنوان : أسهل الفرص التي ضيعها نجوم كرة القدم لموسم 2016/2017 !! لن تصدق...!! I must state that in NO way, shape or form am I intending to infringe rights of the copyright holder. Content used is strictly for research/reviewing purposes and to help educate. All under the Fair Use law. "Copyright Disclaimer Under Section 107 of the Copyright Act 1976, allowance is made for "fair use" for purposes such as criticism, comment, news reporting, teaching, scholarship, and research. Non-profit, educational or personal use tips the balance in favor of fair use."